Manufacturer & Supplier of PTFE PFA Lined Pipe. 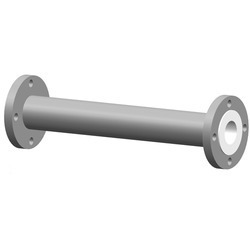 Our product range also comprises of PTFE Spacers and PTFE & PFA Lined Elbows. 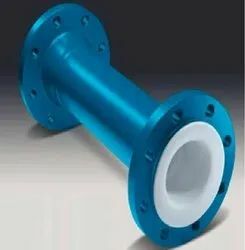 We offer PFA Lined Pipe We are one of the renowned names in the market for performing PFA Lined Pipe in different type of Valves. With enriched experience in fastener industry, we are engaged in offering high grade PTFE Lined Pipe. The offered Teflon Lined pipes are manufactured using superior quality raw material and advanced technology in adherence with industry norms. 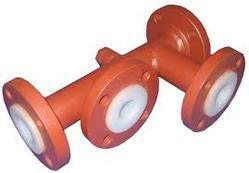 Our provided pipe are available in different sizes, designs and shapes as per the needs of our clients. 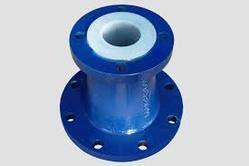 Moreover, these pipe are tested on different quality measures so as to ensure their quality. Line Size Length Min. Length Max. Looking for PTFE Lined Pipe ?